« A terrible coincidence of fate.?. Something WATER this way comes. 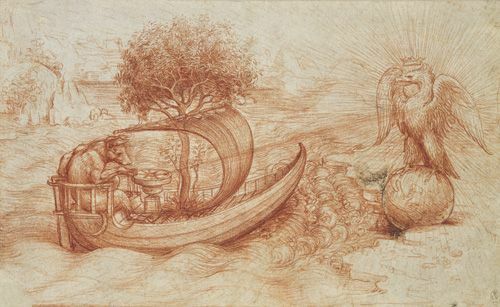 When the Sun aligns with the direct center or “Angel Point” of sidereal Scorpio, the Point of Elemental Water can be expected to manifest near or somewhere deep in the Japan Trench off the coast of Japan. The next PoEW is on 02 Dec 2010. On 02 Dec 2011, the AM47 ship is scheduled to be situated over the Japan Trench to observe & celebrate Elemental Water. Then the ship will continue its circumnavigation of the globe to arrive back in San Francisco on 01 Sep 2012 to complete the circle. After that, AM47 will again set sail in late Sep 2012 for Alert, Nunavut and the top of the world for the Point of Elemental AEther and the Gateway of Arcturus on 17 Oct 2012. 1. 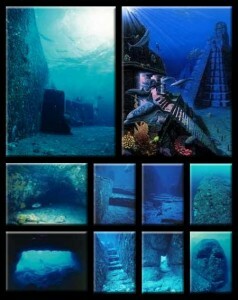 There are a few undersea ruins of “lost civilizations” off the east coast of Pacific-Asian countries. 2. 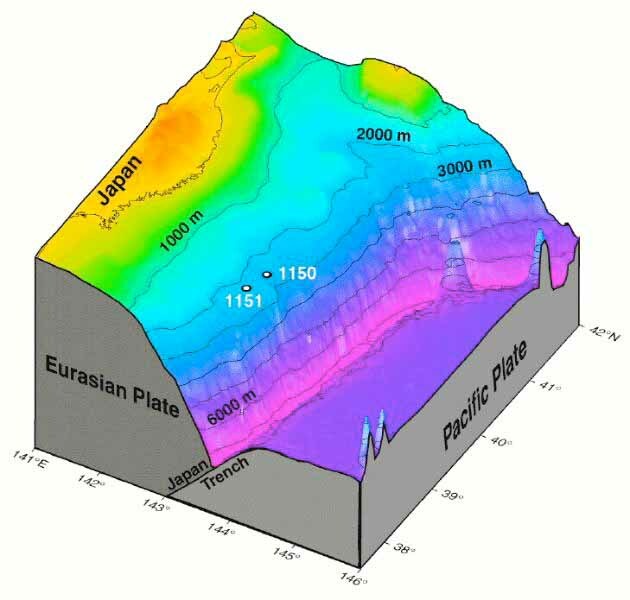 The Japan Trench is the northern extension of the Mariana Trench which is the deepest point in the ocean and the world. 3. 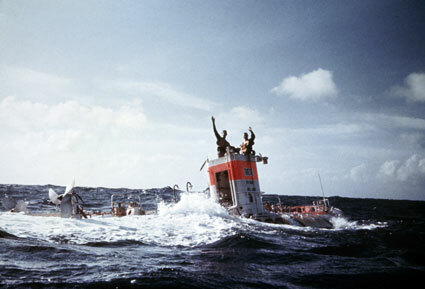 Jaques Piccard and Don Walsh made history in 1960 with Challenger Deep when they journeyed to the bottom of the sea in their bathysphere submarine near the Point of Water. 4. Adventurer Steve Fosset (R.I.P.) 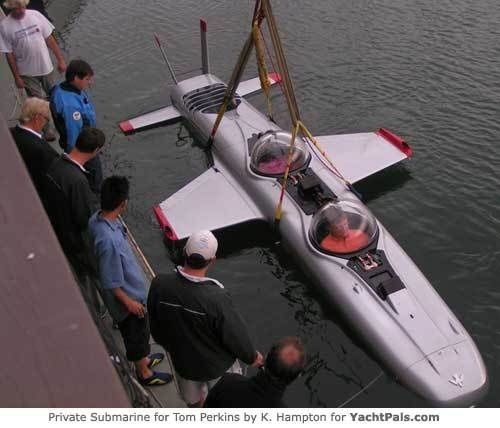 had planned to make history again in 2008 with Ocean Everest, which was to pilot the civilian mini-sub DeepFlight II to the bottom of the sea, also near the Point of Water. Hawkes Ocean Technologies in Oakland, CA makes ‘sub-jets’ capable of reaching the bottom of the sea. 5. 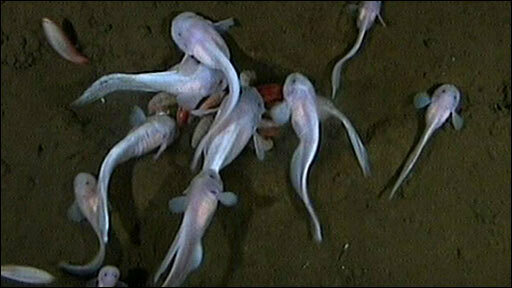 In 2008, scientists filmed the deepest ever living fish near the Point of Water. The deepest fish ever filmed (so far) were in the Japan Trench in 2008. 6. In 2008, scientists discovered a triangular tectonic plate that threatens to destroy Tokyo is located near the Point of Water. 7. The Cove was released in Aug 2009. This Academy Award winning documentary is helping to end dolphin (and whale) slaughter in Taiji Bay, Japan (and other locations along the coast of Japan and the Arctic) which is near the Point of Elemental Water. 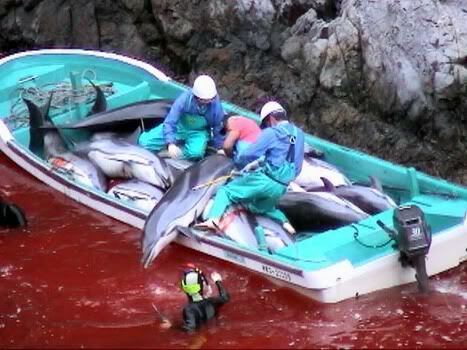 Dolphin slaughter at Taiji Bay, Japan. This entry was posted on 18 September 2010 at 14:53 and is filed under Cetaceans, Ocean, Point of WATER, Ships. You can follow any responses to this entry through the RSS 2.0 feed. You can leave a response, or trackback from your own site.